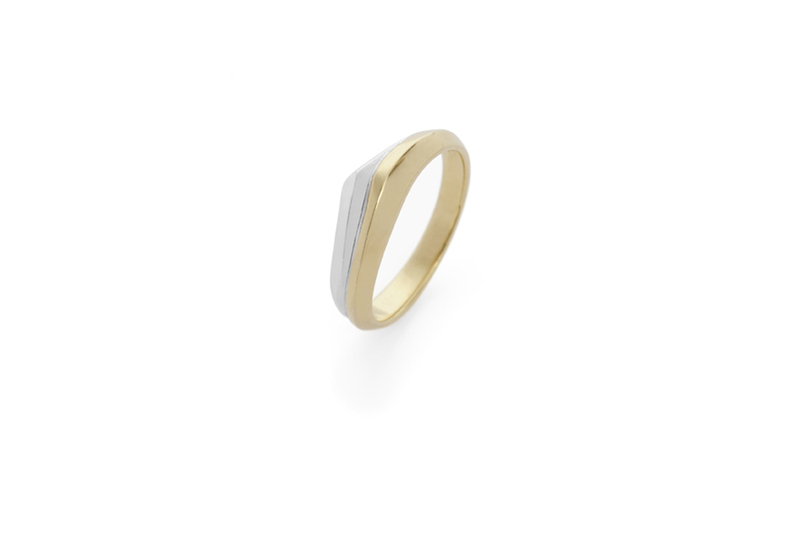 A simple two colour 18ct gold band, with subtle curves. 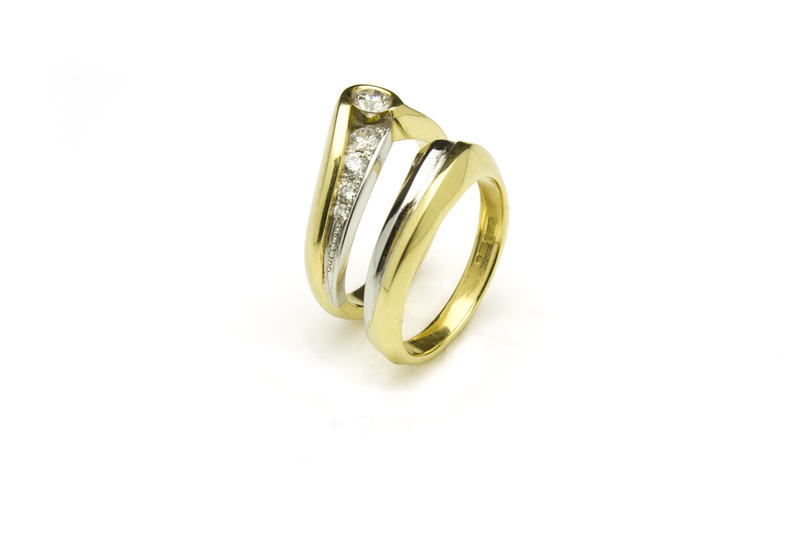 This ring is designed to be worn alone or as a set, nestling alongside the Shooting Star Diamond ring. 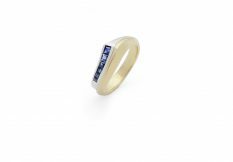 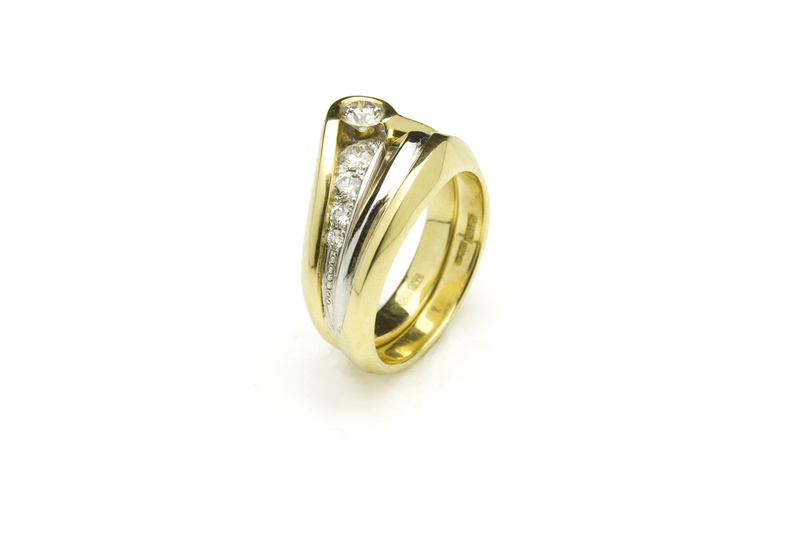 Shown in: 18ct yellow and white gold.